Asthma is a chronic (lifelong) inflammatory lung disease that makes it harder to move air in and out of your lungs. When exposed to certain environmental triggers such as pet dander, smoke, poor air quality, certain medications and more, the lungs become more inflamed, leading to symptoms such as increased mucus production, tightening of the airway, bronchospasms, wheezing, coughing, and shortness of breath. While such such sudden episodes ("asthma attacks") can be life-threatening, most asthma is controllable through lifestyle modifications and medications. While there is no cure, most patients live normal healthy lives. Occupational asthma, a form of asthma, is a lung disease in which the airways overreact to dusts, vapors, gases, or fumes that exist in the workplace. Symptoms include wheezing, a tight feeling in the chest, coughing and shortness of breath. Hundreds of different substances in the workplace can cause occupational asthma. These can be broken down into two basic classes. Simple irritants that aggravate the lungs and respiratory system directly. 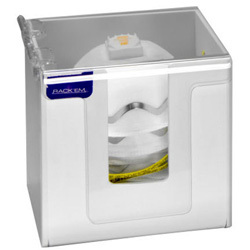 Examples incude dust, fumes, smoke, and certain chemical substances such as acid vapors. Reactive Airway Syndrome occurs when chronic (repeated) exposure to these irritants causes the lung surfaces to become increasingly sensitive. Substances which evoke an allergic (immune) response. Examples include inhaled material that contains proteins such as feathers, hair, plant materials (think pollen). Certain chemicals are sensitizers that cause your body to react to even minute amounts of that or other chemicals. "Allergy and Asthma: Practical Diagnosis and Management", Paperback, 400 pages, 2007. Estimated price $54.59. Info and/or order . "The Washington Manual of Allergy, Asthma, and Immunology Subspecialty Consult (The Washington Manual Subspecialty Consult Series)", Paperback, 224 pages, 2012. Estimated price $52.24. Info and/or order . "The Asthma Educators Handbook", Paperback, 432 pages, 2007. Estimated price $62.78. Info and/or order . "The Asthma Sourcebook 3rd Ed", Paperback, 256 pages, 2006. Estimated price $13.98. Info and/or order . "Asthma for Dummies", Paperback, 384 pages, 2004. Estimated price $14.35. Info and/or order . "Pick Your Poison: How Our Mad Dash to Chemical Utopia is Making Lab Rats of Us All", Hardcover, 256 pages, 2011. Estimated price $19.97. Info and/or order ILPI recommended. While occupationally-related asthma is usually reversible, chronic exposure to an irritant can result in permanent lung damage. The worker may become generally asthmatic, reacting to molds, allergens, cigarette smoke, dust mites, pet dander etc. According to OSHA, 11 million US workers in a wide range of industries and occupations are exposed to at least one of the numerous agents known to be associated with occupational asthma. They estimated that occupational factors are associated with up to 15 percent of disabling asthma cases in the United States. See the American Lung Association link and others below for specific examples and further information. 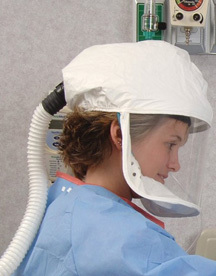 Breathe easy with respirators and accessories from Safety Emporium. The American Lung Association's Asthma Page. OSHA's Occupational Asthma Page with links and info as well as their Fact Sheet Do You Have Work-Related Asthma? A Guide for YOU and YOUR DOCTOR. The AAAAI has a brief overview of occupational asthma. Occupational Asthma at the NIH's Medline Plus medical encyclopedia. Developing allergies at work at CNN Health. Occupational Asthma in the Merck Manual Home Edition. Pediatrics, Reactive Airway Disease at eMedicine. Reactive airway disease: Is it asthma? at MayoClinic.com. See also: dust, emphysema, respiratory, sensitizer.